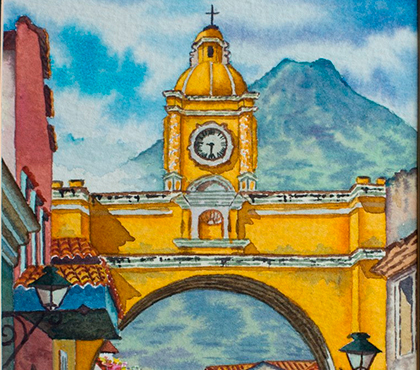 The Art in Antigua Guatemala is embedded in every street and corner of the city. If you look around, everything is a collection of colonial buildings linked by cobbled streets that invite every visitor to enjoy of a beautiful and creative landscape everywhere. The Antigua Guatemala museums and art galleries offer throughout the year, art exhibitions and various activities presenting the different eras in the history of art. In this article you will find several places you can visit in this beautiful city, if you are an art lover or want to learn more about the topic you will definitely enjoy it. Patricia Solé, Former Vice-President of the Museums Association of Guatemala, says that most of the museums in Antigua Guatemala, reflect very well the Guatemalan culture because this is a very historic place and is consider the third capital of Guatemala, where is kept much of its heritage. Some of the best museums and cultural centers you can find here are the Museum of Native Costumes, the Antique Book Museum, The University of San Carlos Colonial Art Museum, and the Cultural Centers of La Azotea and El Sitio. El Sitio is a cultural center that works towards cultural diversity and sustainable human development. Enrique Matheu, and Scott MacLauchlan, founders of El Sitio, formed the center to promote artistic, cultural, and social development in Guatemala. Patricia Solé says that art exhibitions in El Sitio are presented to the public throughout the year since they are seasonal. The Coffee Museum, set in a coffee mill, illustrates the history, processing, marketing and brewing of coffee. At the end of your visit and after going for a walk through the working plantation, you can taste the delicious brew made from beans grown there. In The Casa K’ojom Mayan Music Museum, you can enjoy watching a collection of Mayan musical instruments, artifacts, customs, and paintings from Pre-Columbian times to the present. At the Rincón Sacatepéquez Museum you can admire the textiles and customs of people that lives in the villages of Antigua Guatemala. At the end of your visit, you can buy native Antigua Guatemala handicrafts, musical instruments, and music and video recordings. The Santo Domingo Museum at the Convent – Hotel Casa Santo Domingo: is an ancient convent turned into an important museum and hotel in Antigua Guatemala. Patricia Solé, says that one of the art galleries that receive more visitors during the year is this one in Santo Domingo Hotel, dedicated to Marco Augusto Quiroa, a great Guatemalan writer and painter. 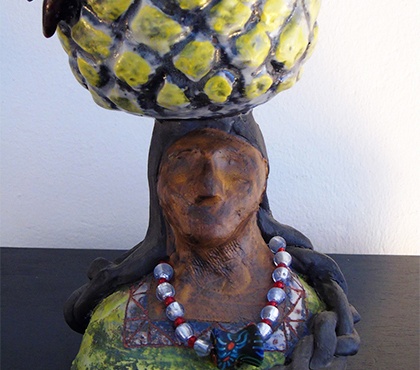 This permanent art exhibition has art works by other Guatemalan and international artists. Colonial Art Museum in University of San Carlos: According to Solé, this museum has suffered from several transformations over the past years in order to become better. It has received large donations to be fixed because it is visited by many tourists. It preserves great architectural beauty and is located in front of the Cathedral’s ruins, on the building that once sheltered the University of San Carlos of Borromeo. Its rich architecture consists of a series of rooms disposed around a main court with four corridors. This Antigua Guatemala museum withholds a wide art collection from the sixteenth and eighteenth centuries, and an exhibition of around 133 works, among sculptures, paintings, and furniture. Museum of the Ancient Book in Antigua Guatemala: If you like the history of books, how they started and how they have change through the years, this is the perfect place. It is located in front of the Central Park, on the spot where the First Printing-house of the Kingdom of Guatemala was located (1660). This museum is considered one of a kind in Latin America and has three exhibition rooms: the “Introduction of the Press in Guatemala”, “Techniques: xylography and lithography”, and “The Speckled Paper Room”. Its collection is calculated in 2500 documents, many of them donated by families who lived in Antigua Guatemala. The Jade Museum in Antigua Guatemala: Jade was a rare and valued material in pre-Columbian Mesoamerica cultures, and the only source from which they could obtain jade was in Guatemala. 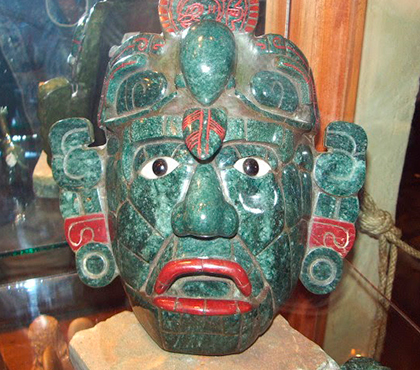 Jade was largely an elite good, usually shaped into symbolic figurines. This Museum opened its doors since 1974 in Antigua Guatemala to show unique collectible pieces, as well as Mayan Art replicas created by expert craftsmen. La Compañía de Jesús is a cultural center in Antigua Guatemala of the Spanish Cooperation, who has very good art exhibitions, also the ruins of Capuchina’s convent who have had exhibitions of Rembrandt art, adds Solé. 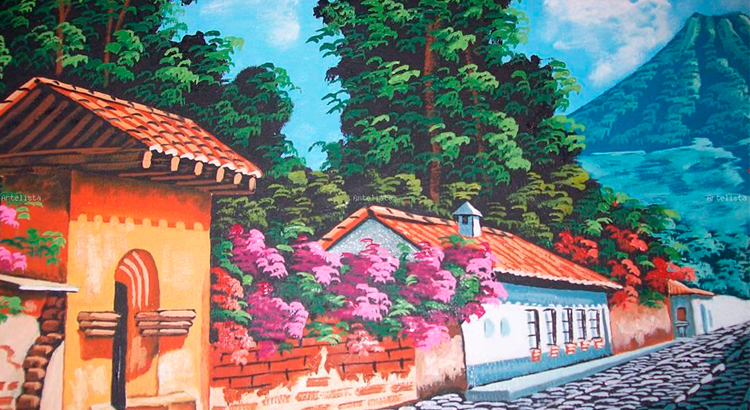 La Antigua Art Gallery, counts with large spaces dedicated to art exhibitions and a colorful garden, typical from the Colonial style houses where you can appreciate beautiful sculptures for outdoors. 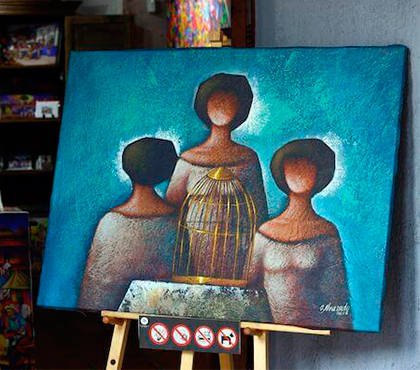 Julio Morán, from La Antigua Art Gallery, says that the gallery is specifically dedicated to the realization of exhibitions of art, especially painting and sculpture. La Antigua Guatemala is a Cultural Heritage of Humanity, that is the reason why the interest and participation of the tourist is notorious. “You can see an extensive and exclusive collection of works of art of renowned masters and artists. 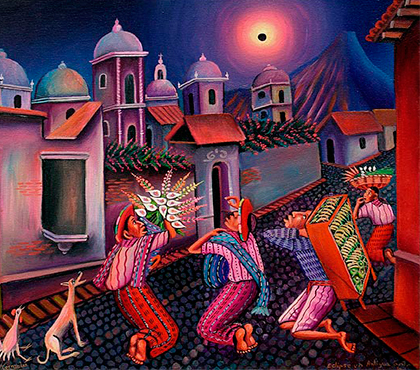 80% is Guatemalan art, and the remaining 20% is from the United States, Canadian, Central and South America, European, and South African artists. 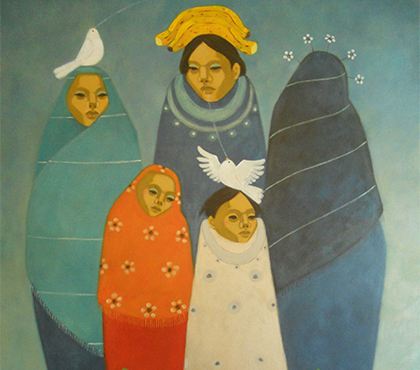 In the Wer Art Gallery, you can enjoy the exhibitions of Guatemala and America’s art. Patricia Solé, former member of the Museums Association of Guatemala, comments that Wer Gallery has many art works from Guatemalan famous painters and recommends us to go take a look. Other nice and important art galleries you can visit are: Centro de Arte Popular, Centro de Formación CIF, Panza Verde, María Eskenasy Fine Art, Estudio Cerámico, Central America Art Gallery, La Rosa de Cristal, Rocío Quiroa, and Alliance Française art gallery from La Antigua Guatemala. Charlotte Rumel, Director of the Alliance Francaise from La Antigua Guatemala, says that the Alliance Française organizes international cultural activities and activities of local themes, such as paintings exhibitions, French music concerts or any other type of music, children and adults shows (puppets, street theater, theater), and fireworks shows. The gallery consists of classroom and courtyards where you can participate of the different activities…. SO ENJOY ANTIGUA’S HALL OF ART!! !